The oasis was first settled by the Serrano who called it Mara, meaning “the place of little springs and much grass.” Legend holds they came to the oasis because a medicine man told them it was a good place to live and that they would have many boy babies. The medicine man instructed them to plant a palm tree each time a boy was born. In the first year, the Serrano planted 29 palm trees at the oasis. The palms also provided the Serrano with food, clothing, cooking implements, and housing. 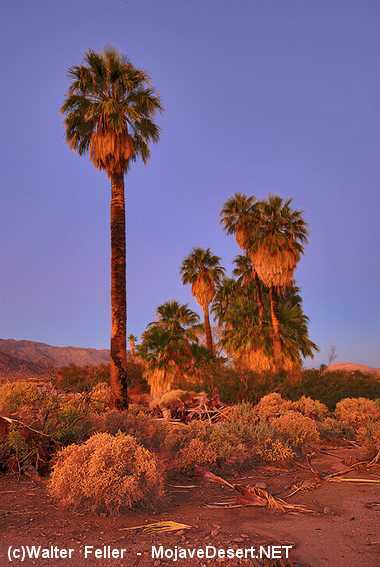 In addition, the palms are habitat for a wide variety of desert creatures from colorful orioles to the palm-boring beetle.